The 188 visa allows holders to establish and run a business in Australia (Business Innovation Stream), or to invest funds in an Australian business (Investor Stream, Significant Investor Stream or Premium Investor Stream). In order to be considered for this business migration stream, applicants must demonstrate that they have funds in excess of AUD 1.5 million to invest. All streams require sponsorship from a State government or Austrade – the Federal trade and investment commission. You can apply for sponsorship for this visa by lodging an Expression of Interest. any evidence of patents, designs, trade marks or other proof of business innovation. You must lodge all necessary documentation to prove the above when submitting your Expression of Interest. If successful, you will be invited to formally apply for the visa. A current holder of a 188 visa, or New Zealand applicants on a 444 visa, can submit an Expression of Interest for an 888 visa. Business owners must demonstrate that they have operated a business in Australia for a period of two years (Business Innovation Stream). Alternatively, investors must show that they have held a complying investment of more than AUD 1.5 million for 4 years (Investor Steam or Significant Investor Stream), or a complying investment or more than AUD 15 million for 1 year (Premium Investor Stream). The 888 visa builds on the 188 visa and has the added advantage of being an Australian permanent residency visa. that you have received AUD 1 million in funding from an Australian firm that are a member of AVCAL (Venture Capital Entrepreneur Stream). 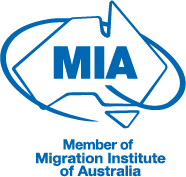 Australian business migration requirements change frequently and note the above information is current as of the 14 August 2017. If you have any questions in relation to Australia’s Business Innovation and Investment Program, contact Pathway Lawyers & Migration Agents now for cost-effective and timely legal advice. Newer PostAs a lawyer, how do I apply for an Australian skills visa?